Any member of a ceda Member’s staff with less than five years’ experience in their current role can be nominated by their employer for this award. The objective is to recognise and reward an individual’s outstanding achievement and contribution to the development of a ceda Member company. In addition to the trophy and accolades, this year’s winner will also receive a £2,500 bursary sponsored by ceda’s Platinum Partners. This will be used to further the development of the winner with overseas trips to exhibitions and events. Macauley Knight, Project Support at Archer Catering Systems Ltd. 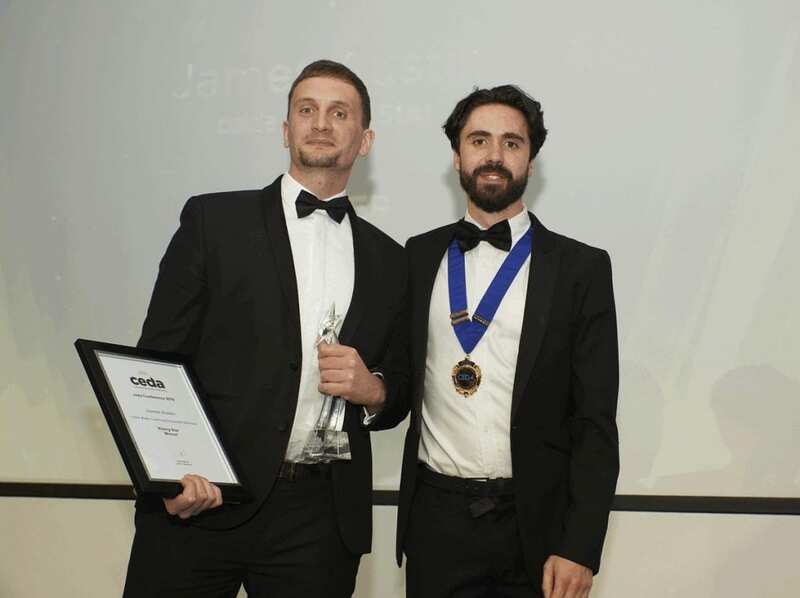 This year’s ceda Rising Star Award winner is James Austin from Tailor Made Catering Equipment Services.